*** Le RoCk *** - GiRlS'aDdIcT c nOu$ 3t r!3n d'Otr3...!i! 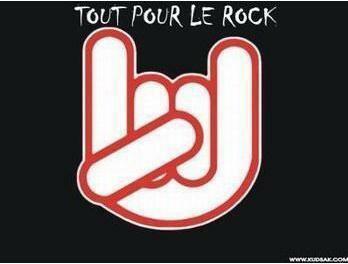 NoUs On lOvE Le Rock !!! ON EST surment ToUTeS fAns DE tokio hotel !!! MAiS on EST tous OSSi a FoNd avc le RoCk !! vive le MoUv ' !! JuLy :ToKiO HoTeL 4 EvEr !!!!! YoUhOoO !!! T*H T*H T*H T*H T*H T*H T*H T*H T*H T*H ...! Bien, pas grand-chose à rajouter !!!! A bientôt Pilline et la bande !! !